A symbol of high rank and wealth, gold jewellery on Flores also has deep connections with the ancestors and is used for the expression of cosmological order. 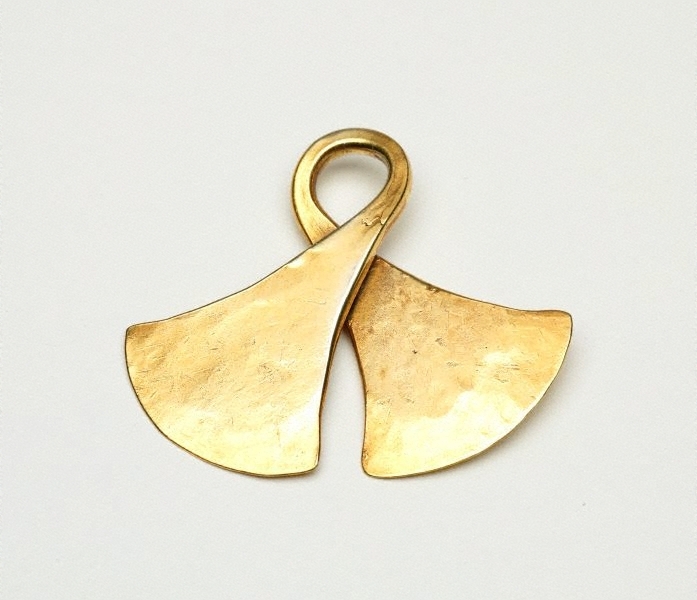 Among the Ngada people of central Flores, ornaments like this pendant property of ancestors and an important part of a clan’s heirloom treasure. Imbued with sacred properties, ‘taka’ were removed from their stores and exposed to sunlight only after being anointed with the blood of an animal sacrifice and the appropriate permissions had been sought from the ancestors. ‘Taka’ were worn by men and women, suspended at the neck and forehead from bands and chains. They also appeared as prestige items in bride wealth exchanges and traditional (‘adat’) rituals. Nomadic Rug Traders, pre 2004, Sydney/New South Wales/Australia, Purchased in Indonesia. Mariann Ford, 2004-Dec 2010, Sydney/New South Wales/Australia, purchased from Nomadic Rug Traders (art dealership). Gift to the Art Gallery of New South Wales as part of the Christopher Worrall Wilson Bequest 2010. Ancestral art of the Indonesian archipelago , Sydney, 2017, 71 (colour illus. ).